Files with mtp extension may also be special projects created and saved in the EasyBuilder 8000 development environment. File extension mtp is associated with the EasyBuilder 8000 development environment for Microsoft Windows OS used for programming PowerView 8000 operator interface terminal series. This type of .mtp file stores EasyBuilder 8000 programming project. EasyBuilder 8000 is development environment for PowerView 8000 Operator Interface Terminal Series. Use EasyBuilder 8000 to open .mtp project files. Projects can be often exported to finished output formats. Programs supporting the exension mtp on the main platforms Windows, Mac, Linux or mobile. Click on the link to get more information about EasyBuilder 8000 for open mtp file action. Programs supporting the exension mtp on the main platforms Windows, Mac, Linux or mobile. 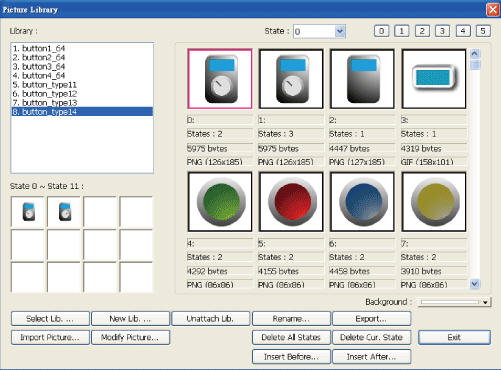 Click on the link to get more information about EasyBuilder 8000 for edit mtp file action. Programs supporting the exension mtp on the main platforms Windows, Mac, Linux or mobile. Click on the link to get more information about EasyBuilder 8000 for create mtp file action.